Tom Friedman with the New York Times recently penned an insightful article on the intersection of water, climate change, human security and broader security concerns in Yemen. Most of the time Yemen shows up in the international news, it is about drone strikes on Al Qaida targets, or most recently, the release of abducted foreigners. Beneath all of this, Friedman points out, is the persistent insecurity over water resources. One of the most threatened aquifers in Yemen is the Radaa Basin, he added, “and it is one of the strongholds of Al Qaeda.” In the north, on the border with Saudi Arabia, the Sadah region used to be one of the richest areas for growing grapes, pomegranates and oranges. “But they depleted their aquifer so badly that many farms went dry,” said Eryani, and this created the environment for the pro-Iranian Houthi sect to recruit young, unemployed farm laborers to start a separatist movement. The great American environmentalist Dana Meadows, when asked if it was too late to do anything about climate change, used to say, “We have exactly enough time — starting now.” The Arab world has exactly enough time — starting now. If people do not stop fighting with each other over dead ideologies and sectarian differences and focus instead on overcoming their deficits of knowledge, freedom and women’s empowerment — as the U.N. Arab Human Development Report urged — there is no hope. As Qaid suggested, in Yemen those old ideologies are luxuries now. It is just about water. 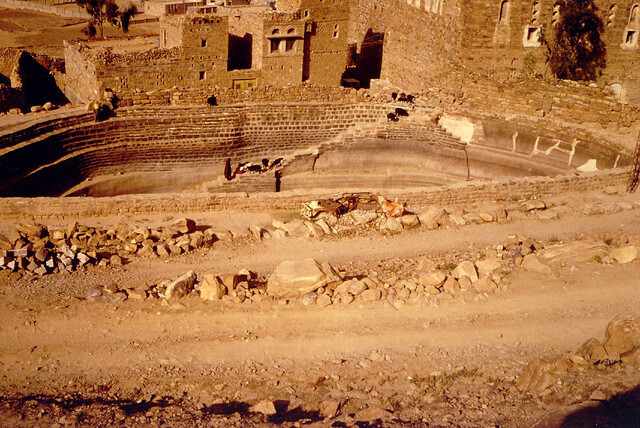 The article, Postcards from Yemen, is worth a read as it sheds much-needed light on the complex interplays of water, climate change and culture in a country that will likely appear more and more often in the headlines. For more on the topic, here and here are a few previous posts from this blog. By Caitlin Werrell and Francesco Femia in climate and security on May 9, 2013 .